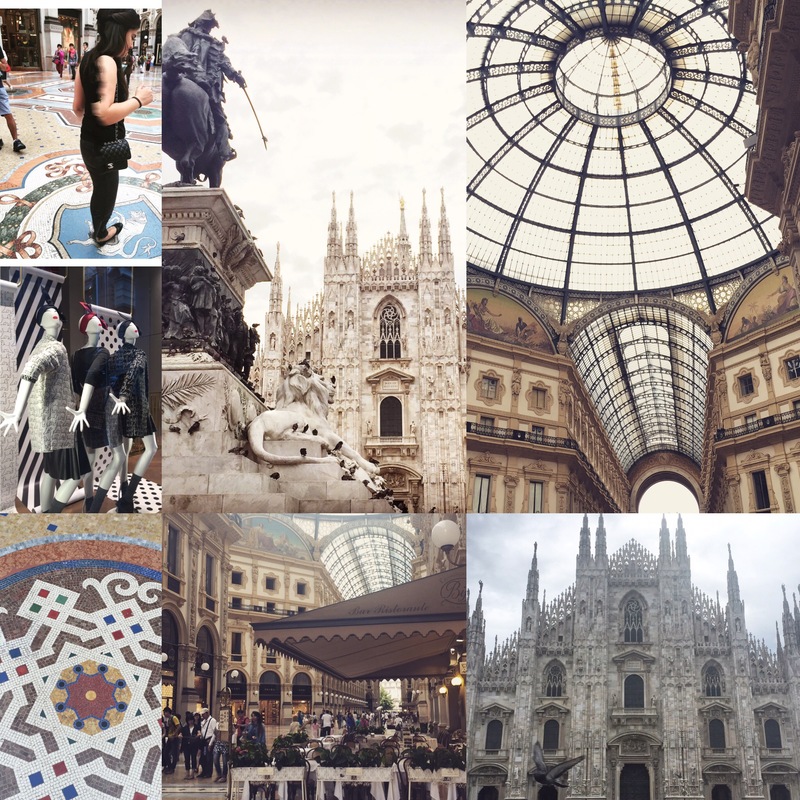 Visiting Milano was a dream of mine for years. Always saw this city as one of the best fashion capital of Europe after Paris and London of course. As I Live at the border with Italy, It is basically possible to take a 4 hour train and get there for the week-end. One of the reason we went was for the ever so famous world expo 2015 which is going on until the 31st of October. Now I discovered Milano has two sides, the first being tourist/shopping heaven. So many nice shops and beautiful architecture. It is so easy to get lost in this apparent perfection and get trapped in the second side of Milano, this is not very safe for tourists. I am not there to bring negativity around but if you go, please be careful. I love going to fashion capitals as you see in the street people wearing whatever they want and looking like a fashion photographer is there to take pictures of them and I love that. People there are so stylish. the Galleria Vittorio Emanuele II next to the Duomo is the spot to visit, the architecture there is to die for and the shops are so beautiful. Next day, we went to the Milano Expo centered around the new solution to ‘feed the planet’ as they described in their website.It was basically centered around food. It was really interesting to visit the pavillons from the different countries.